Yet again, on a sun-drenched day in the Scottish Borders, climbers of all ages have scaled the heights at Bowhill for Wild Tree Adventures’ second fantastic event in a real whopper of an oak tree. This ace adventure activity run by Director Tim Chamberlain of ?Wild Tree Adventures has you climbing up into an amazing tree, and climbing much further than you ever thought possible! Seeing Bowhill Estate from a new perspective, you are also exploring within the living, breathing ecosystem of the oak tree and a chance to see all kinds of creatures. We had fly-bys of crossbills, a foraging family of nutty nuthatches, a passing party of noisy baby bluetits foraging for caterpillars, and some pretty cool bugs and beetles. Tree-climbing is a great way to explore the natural world and at the same time get great exercise and bucketfuls of fresh air. We have eight people climbing at once, we can have families together or individuals and today we had all ages of kids and mums, two lovely friends of mine, and a boisterous birthday party of brilliant boys who all did amazing adventuring. Here are a couple of iPhone vids to show you how?simply wonderful it is being up among the leaves. Thanks mighty oak tree and see you in August for more Wild Tree Adventures! This is a fantastic adventure for kids and adults. 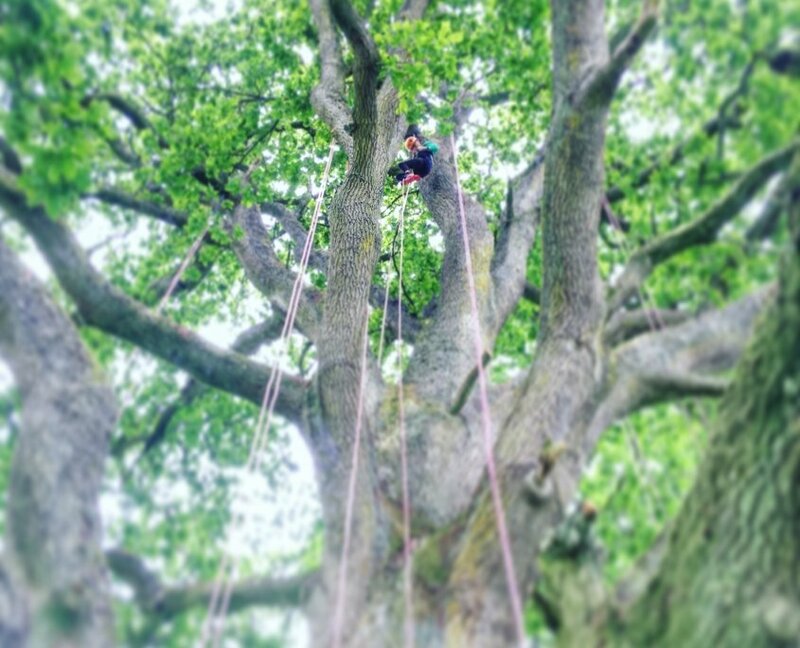 We climbed a massive oak tree (myself and my two boys 11 and 16) … You climb the tree in your own time I went up once and sat and admired the view for a while but my youngest boy managed to go up and down three times. The price of the ticket included access to Bowhill grounds which as the sun was shining was great to walk around and there is also a courtyard coffee shop. All Highly recommended. Me (47) plus two daughters (13 & 8) had a great time. The rope climbing system is pretty straightforward & instructors happy to help/encourage. Didn’t occur to me to feel anything other than safe. Thrilled to get to the top & just sit for a moment & look at incredible views. Great to find something we could all do together & being outside at beautiful Bowhill made it extra special…Highly recommend to all! Sun a fun day filming [for ITV] with Wild Tree Adventures at Bowhill today. I’m not great with heights so was super chuffed at making it to the top of this 70ft oak! Big thanks to Tim and Carla for looking after me. Get booked up!